Three of my favorite items of summer. As an urban gardener who has all of her tomatoes and herbs in pots on the deck. I enjoy rubbing my fingers through the leaves of a tomato plant. 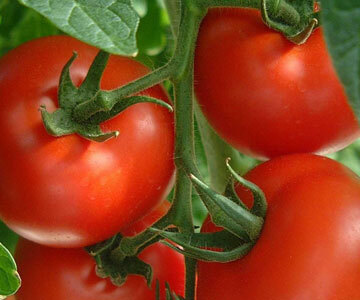 The smell is only one you can get during the season ans is so easily forgotten in the hothouse tomatoes of winter. In my haste to have enough basil I planted more than enough plants and am now on a fresh pasta and pesto roll. To end my summer favorites is corn. The CSA I belong to announced today that their first corn will be in the box. In all these wonderful and simple summer blessings I give thanks, and a continual search for recipes. Thank you for you palette blessings!